Waldorf Astoria New York, an official New York City landmark since 1993, has been an internationally recognized symbol of elegance and grace for more than 100 years. 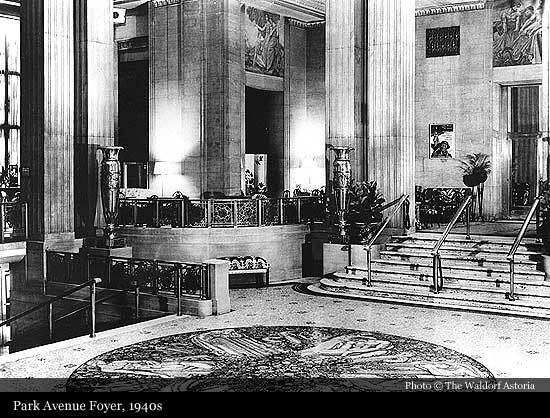 As one of the first grand hotels to combine elegance with luxurious amenities and services, the Art Deco masterpiece, occupying an entire city block of midtown Manhattan, is at the epicenter of the city’s cultural, commercial, social and political life. 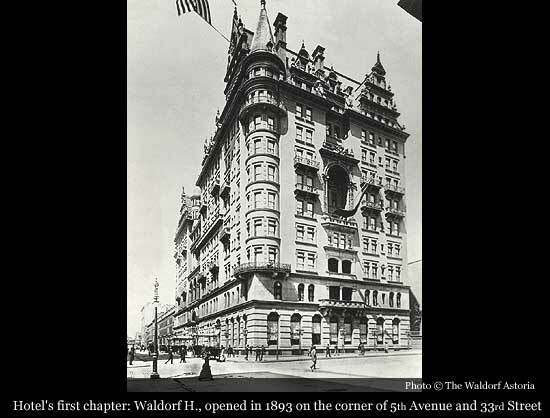 Hotel first chapter begins on March 24th, 1893, when millionaire William Waldorf Astor opened the 13-story Waldorf Hotel at Fifth Avenue and 33rd Street, on the site where his former mansion stood. 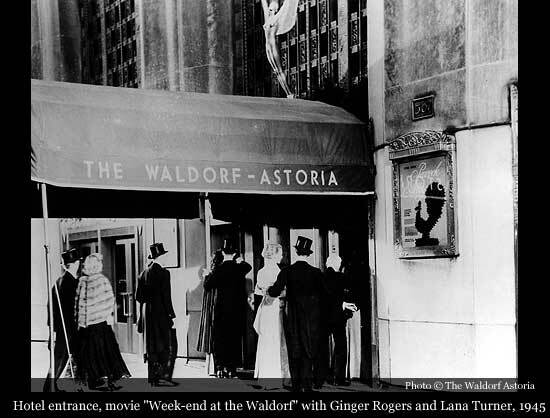 Built by renowned architect Henry Hardenbergh, The Waldorf was the embodiment of Astor's vision of a grand hotel, complete with electricity throughout and private bathrooms in many guest chambers. 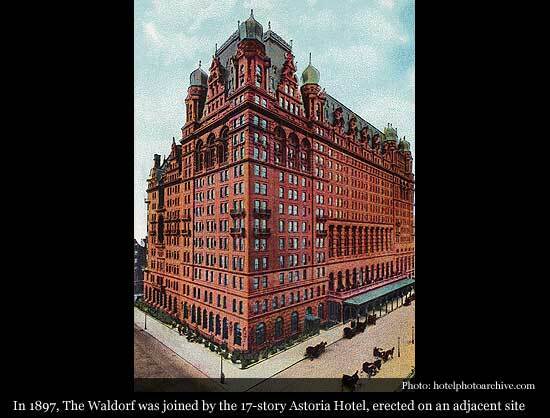 Four years later, in 1897, The Waldorf was joined by the 17-story Astoria Hotel, erected on an adjacent site by Waldorf’s cousin, John Jacob Astor IV. 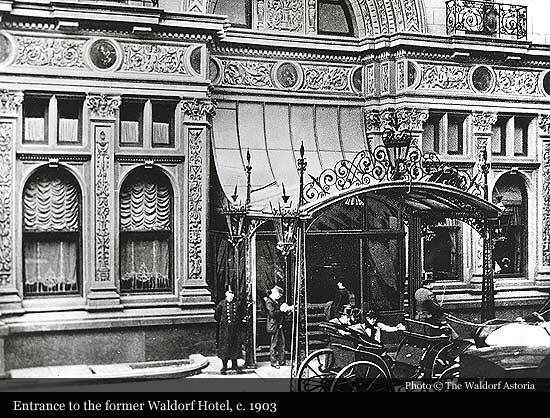 The Waldorf Hotel (1893-1929) was the first hotel to offer complete electricity and private bathrooms. Since then, a long list of firsts evolved. 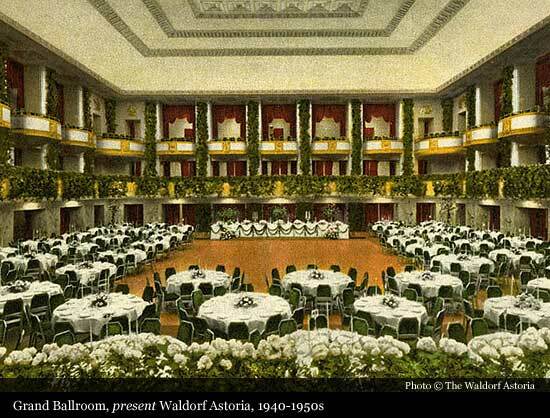 Notably, the hotel was first to create many classic culinary delights, including dishes Waldorf salad, Veal Oscar, Lobster Newburg and Eggs Benedict. 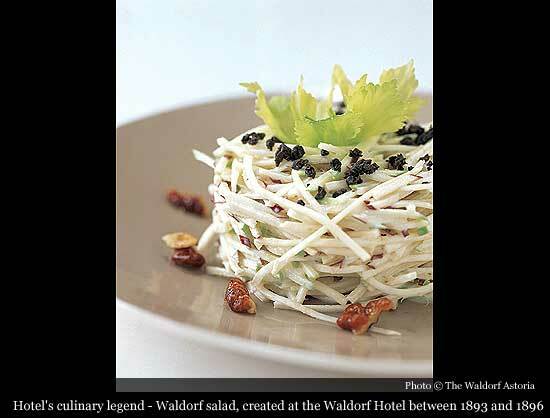 Today's culinary legend - Waldorf salad was created between 1893 and 1896 at the Waldorf Hotel by maître d'hôtel, Oscar Tschirky. 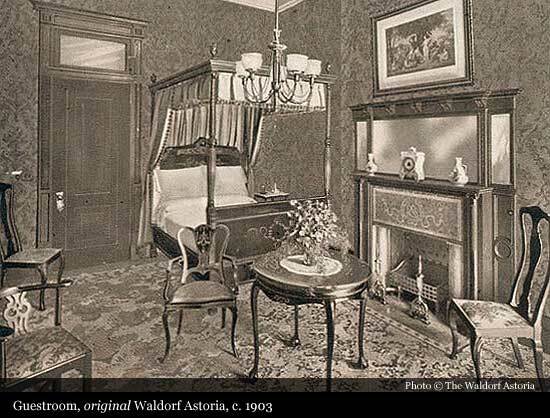 The Waldorf Hotel also popularized room service, Red Velvet Cake and Thousand Island dressing. 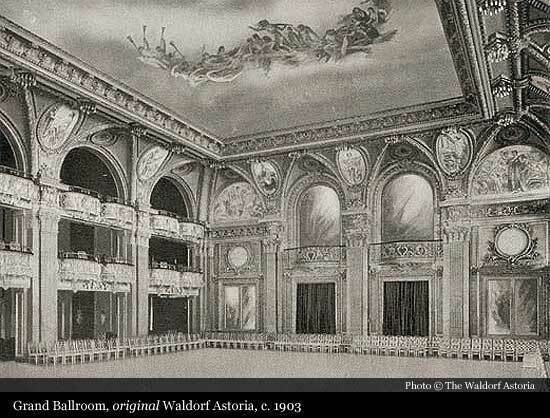 Lena Horne broke the color barrier in The Vanderbilt Room, a private event space at the hotel, as the first African-American to play in such an establishment as The Waldorf Astoria. 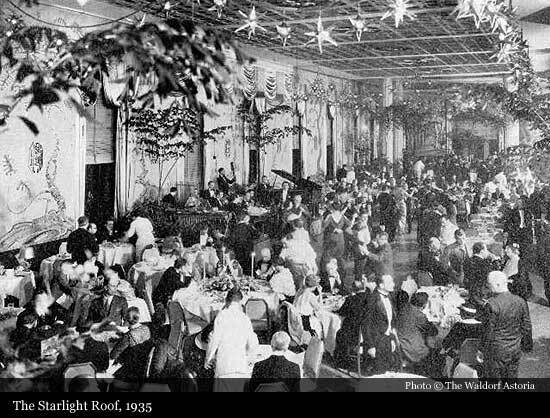 In addition, the first Senate hearings to investigate the Titanic disaster in 1912 began at The Waldorf Astoria, just four days after the sinking, before being relocated to the Russell Senate Office Building in Washington, D.C. 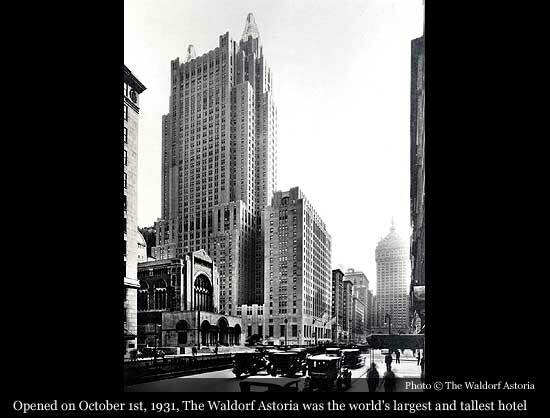 In 1929, after decades of hosting distinguished visitors from around the world, the original Waldorf Astoria closed to pave the way for a reincarnation 15 blocks north on Park Avenue. 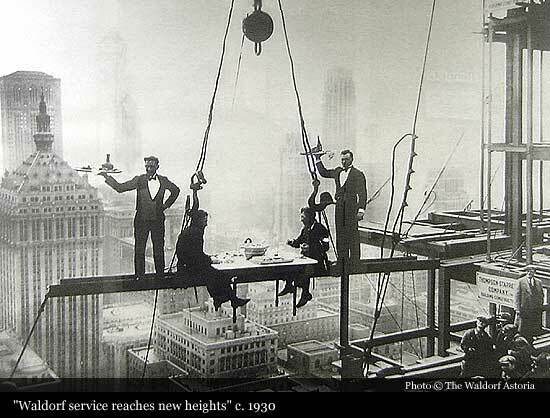 The Waldorf Astoria Hotel was demolished in 1929 and replaced by engineering marvel of the time - the Empire State Building. 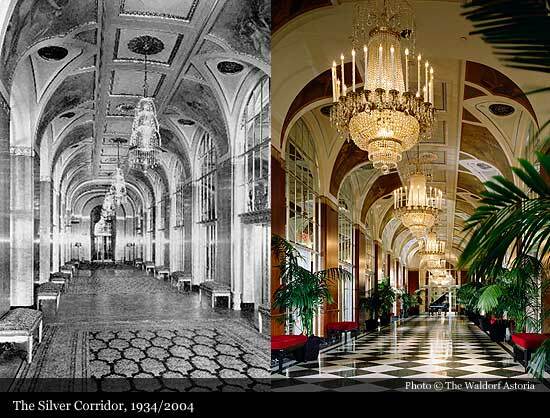 Designed by architects Schultze and Weaver (Leonard Schultze and S. Fullerton Weaver), the current hotel was opened on October 1st, 1931, as the world’s largest and tallest hotel – 625 feet tall, with 47 floors, 42 of which are guest floors – a veritable city-within-a-city. 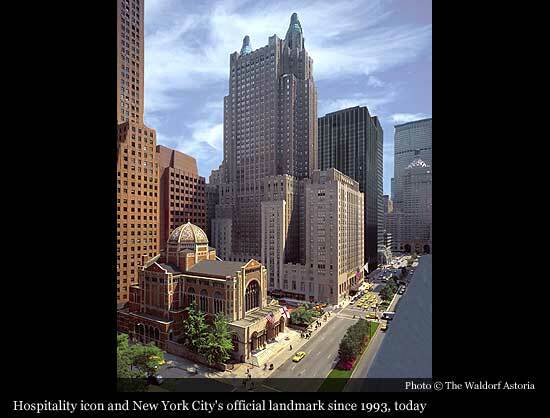 The Waldorf Astoria Hotel remains one of the world’s largest Art Deco buildings. 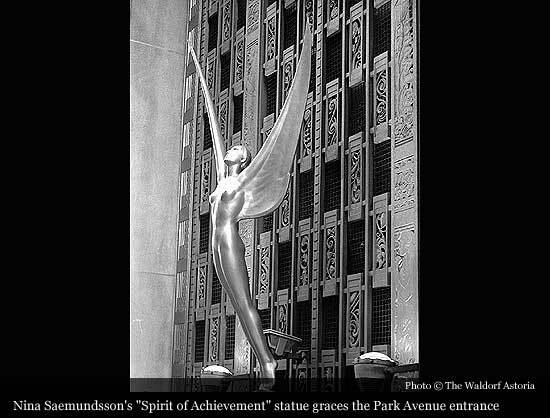 Hotel's Park Avenue entrance graces "The Spirit of Achievement", statue by Nina Saemundsson. 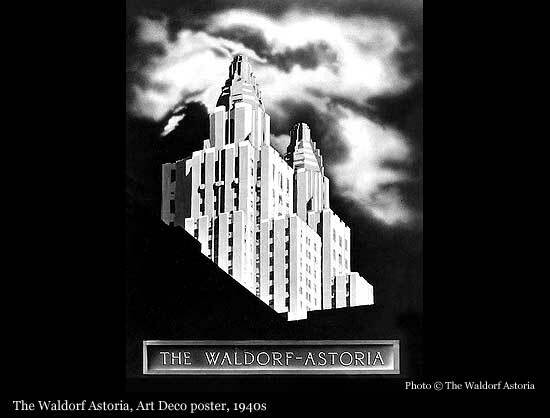 Today, the Waldorf Astoria and The Waldorf Towers offer a total of 1,415 guest rooms and suites, featuring original Art Deco motifs. Each room is decorated differently, no two are exactly alike. All feature marble bathrooms, flat-screen televisions, and dual-line speakerphones with voice mail, complimentary in-room premium cable, and video check-out and Internet access. 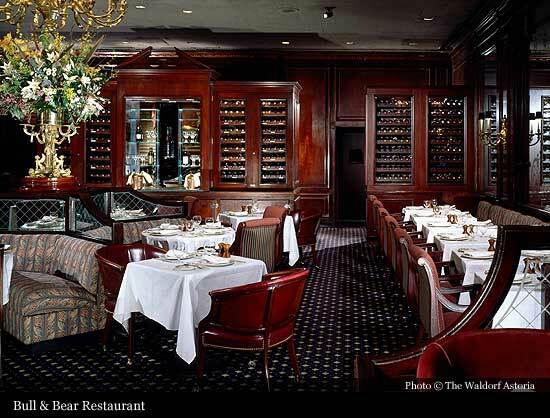 Innovation and tradition meet at The Waldorf Astoria's acclaimed restaurants, bars and lounges. 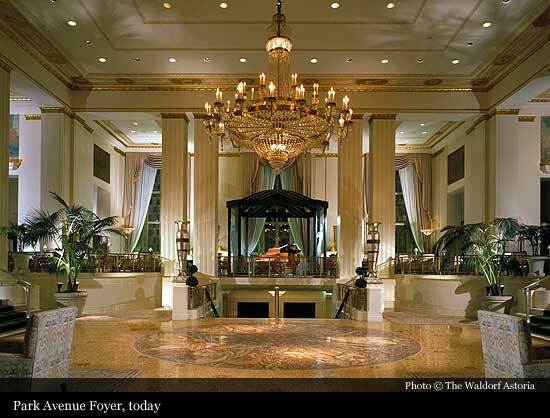 From the stylish Peacock Alley, the jewel of the hotel’s lobby, renowned for its extravagant brunch and seafood menu, Bull & Bear steakhouse, a Manhattan institution to Oscar’s American Brasserie offering casual dining, there is something for every pallet. 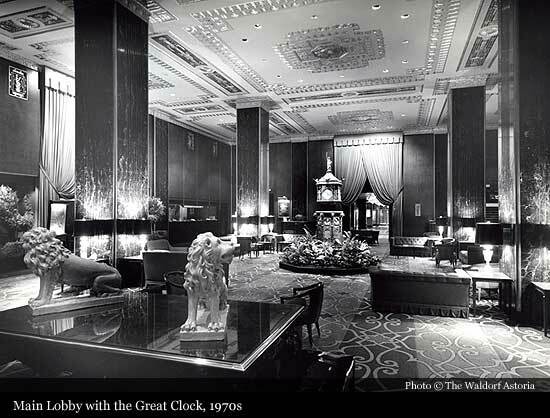 As the hotel is credited with popularizing room service in early 1930’s, The Waldorf=Astoria offers it 24 hours a day. A vast resource of approximately 60,000 square feet of distinctive and versatile function space, with 38 rooms capable of hosting gatherings ranging from small and private to the most grand and extraordinary. 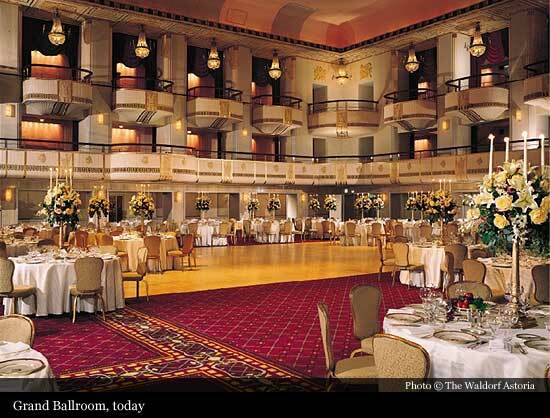 Palatial in dimension and décor, the Grand Ballroom is the only four-story, two-tiered ballroom in New York City. The 15,000 square-foot ballroom is located on the third floor of the main hotel and features stateof- the-art light and sound equipment and a 31,000-watt stage sound system. In Reception, Theater or Banquet settings, this stunning space seats 1,500 and can accommodate 625 seats in a Classroom setting. 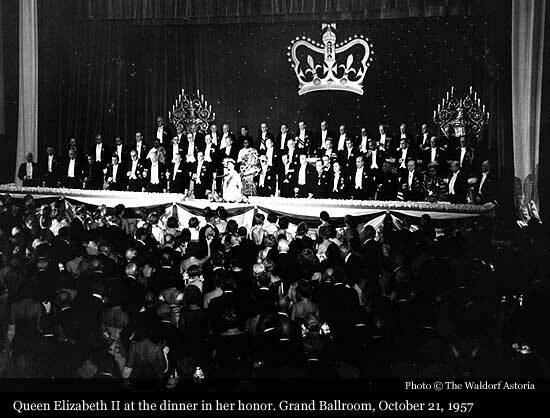 It has been the venue of countless historic and grand events including the Viennese Opera, International Debutante Vall, The Rock & Roll Hall of Fame inductions, and the Explorer’s Club Annual Dinner. 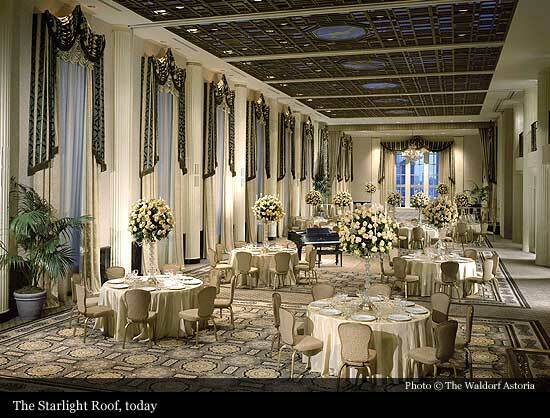 The Waldorf Astoria is also known for the legendary 5,740 square-foot Starlight Roof Ballroom the nightclub of choice for stargazers in the 1930’s and 40’s.The grand room was restored to its Art Deco splendor and boasts oversized windows, fanciful nickel and brass railings of its mezzanine, decorative grilled ceiling treatment and a wrap-around terrace. 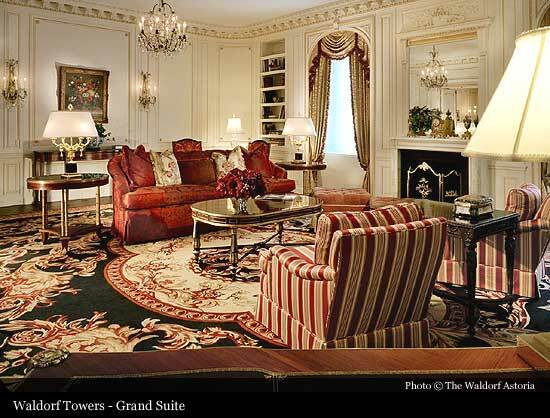 * Presidential Suite - If walls could talk, those in The Towers’ Presidential Suite would surely speak volumes. The four-bedroom suite has accommodated more than seven decades of U.S. Presidents, and the U.S. State Department has first call on the apartment for visiting dignitaries. 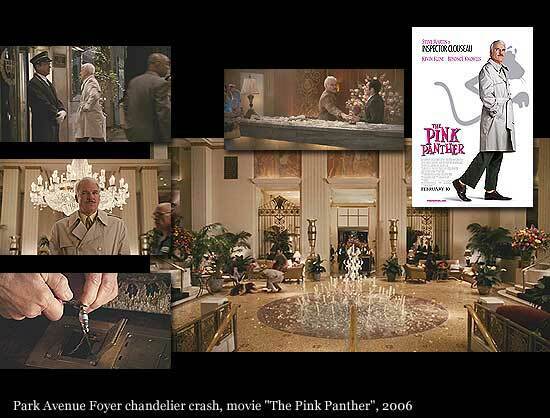 When not required for heads-of-state or diplomats, movie stars, millionaires, corporate moguls and private individuals occupy the Presidential Suite. 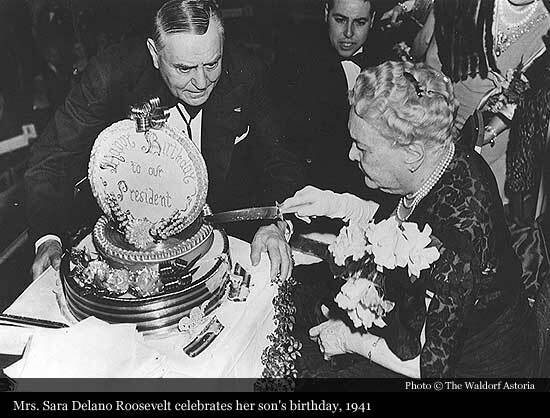 Past guests include world leaders such as Nikita Khrushchev and General Charles de Gaulle, as well as CEO’s of America’s Fortune 500 companies. 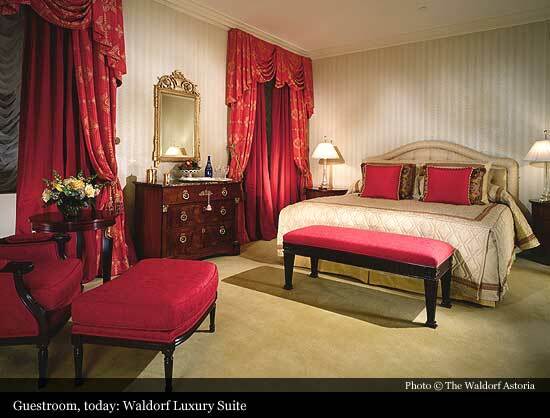 The suite was first unveiled when the current Waldorf Astoria opened in 1931. 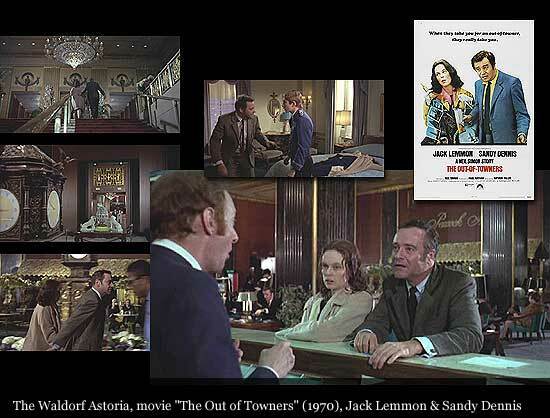 It first featured American colonial-style furnishings and was redecorated in 1969 to resemble the White House. Indeed, every U.S. President since Herbert Hoover has stayed in this luxurious suite, which was part of a recent refurbishment. 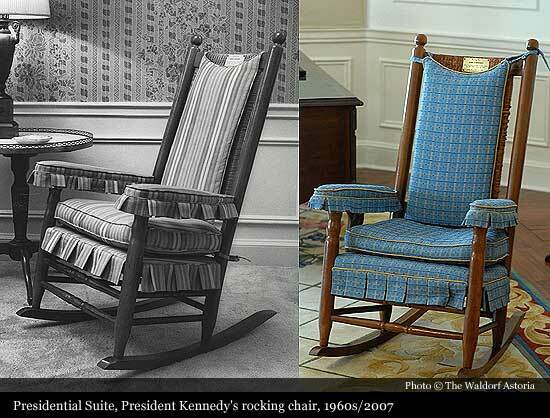 The personal desk of General Douglas MacArthur – donated by MacArthur’s widow, Jean, a Towers resident from 1952 to 2000 – and one of President John F. Kennedy’s rocking chairs decorate the suite. 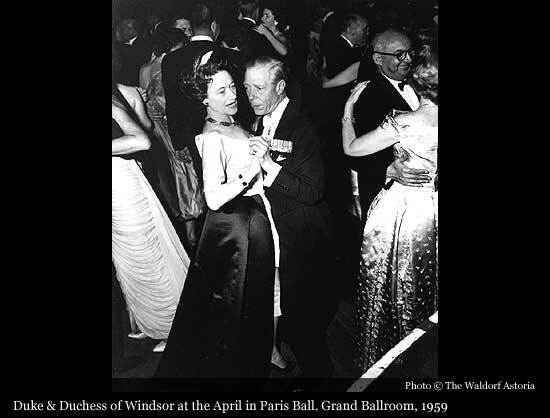 * Royal Suite - The Duke and Duchess of Windsor maintained a permanent New York residence in The Waldorf Towers for six months out of every year, moving in soon after the Duke abdicated as King of England. During their decades at the Towers, they occupied several suites, but permanently adopted this one. Having recently benefited from a $1 million restoration, The Royal Suite is immaculately appointed to meet the tastes and needs of the most demanding king, sheik or tycoon. This 42nd story mansion boasts enormous “public” rooms for entertaining and spectacular, unobstructed views of New York. The living room is a regal mélange of reproduction and authentic English and French furniture, lavish window treatments, antique candelabra wall sconces and a stunning Venetian chandelier. The dining room measures overlooks Park Avenue and nearby St. Patrick’s Cathedral. At center stage is a polished Louis XIV-style mahogany dining table accompanied by Chippendale-style chairs. * Cole Porter Suite - Composer Cole Porter wrote many of his famous lyrics while a resident of this suite, which he called home for 25 years. 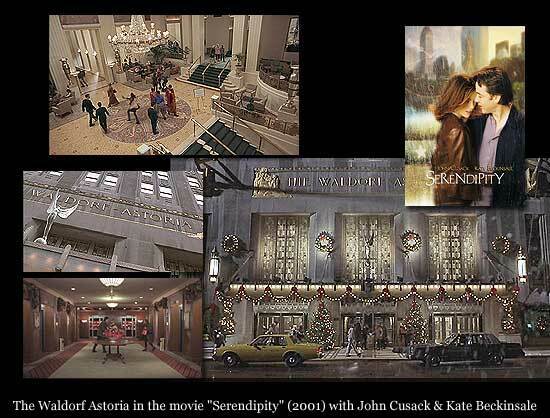 The Waldorf gave Porter a Steinway grand piano as a gift while he lived in The Towers. 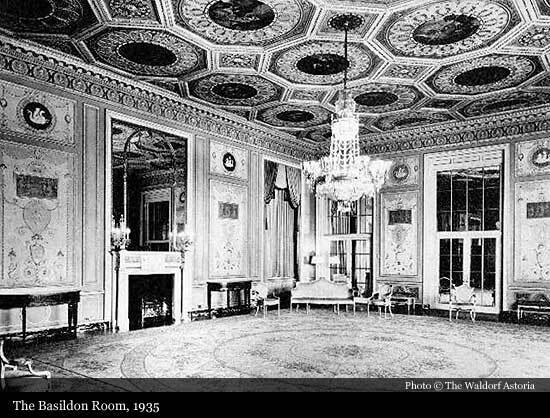 In his suite, Porter arranged to have two grand pianos placed curve to curve so that players could face each other. He would often have his musically talented friends up to the suite for some friendly piano dueling. 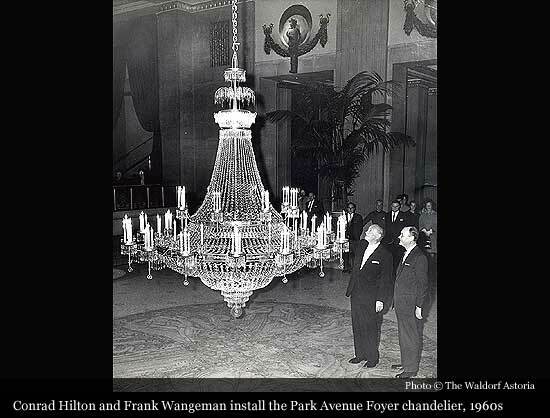 His admiration for the Park Avenue property was confirmed in the lyrics of his 1934 Broadway hit, “Anything Goes: “You’re the top! You're Mahatma Gandhi/You're the top! You're Napoleon Brandy.../...You're the top! 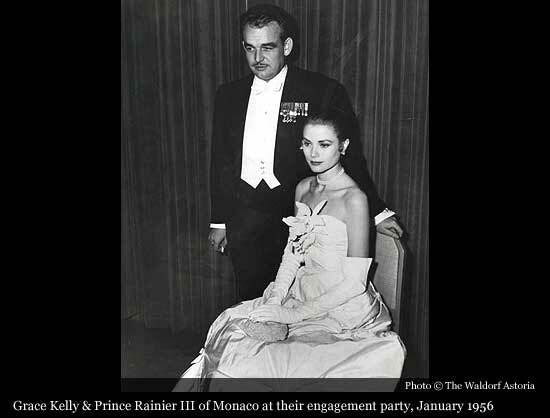 You're a Waldorf Salad/	You're the top! You're a Berlin ballad..../But if, baby, I'm the bottom, You're the top!" These days, Porter’s beautiful floral print-decorated piano now resides in The Cocktail Terrace.. Interestingly, one of Porter’s piano dueling pals, Frank Sinatra, later lived in this same suite with his wife, Barbara, as a permanent resident. 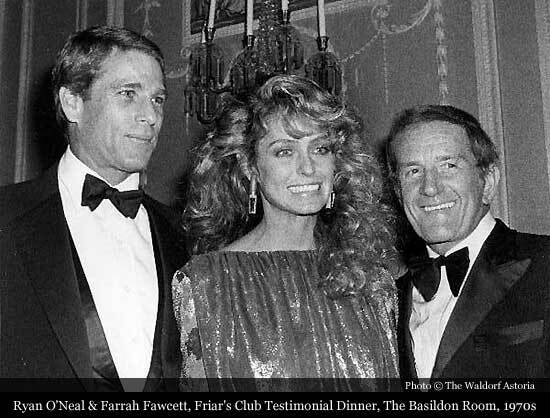 His last lease with The Towers ended in 1987. However, the Sinatras “left their mark” on the suite. Barbara’s initials are imprinted on the shower door in the master bedroom, while Frank’s are etched in the glass door of a shower in another of the suite’s bathrooms. 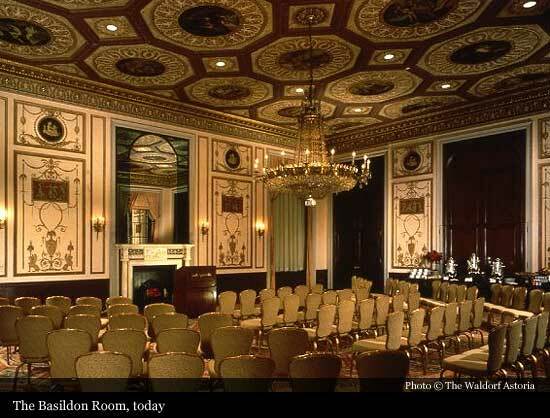 Waldorf Astoria New York is the flagship of the Waldorf Astoria Hotels & Resorts, extending the impeccable service, luxurious amenities, world renowned grace and iconic history to properties around the globe. 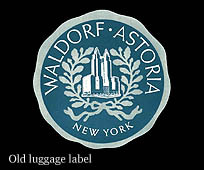 WALDORF ASTORIA is Hilton Worldwide’s luxury brand of landmark hotels, with each one as singular and timeless as the brand’s namesake, The Waldorf Astoria Hotel in New York. 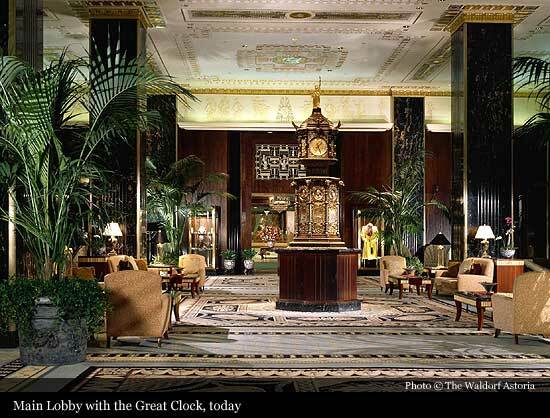 From classic elegance to modern grandeur, Waldorf Astoria Hotels & Resorts each represent worldly sophistication and unparalleled guest service. 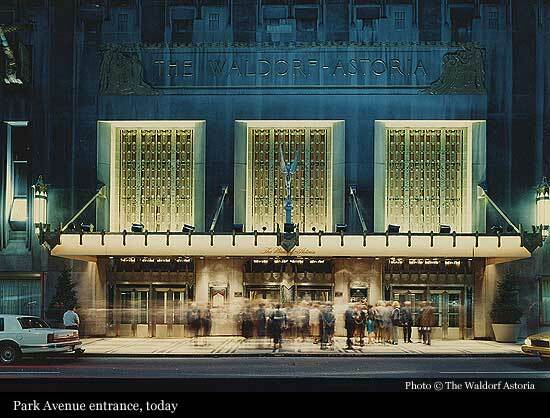 From sumptuous spas and culinary excellence to world-class golf, each hotel & resort offers the exquisite accommodations and signature accoutrements that define refinement and sophistication – a true reflectance of The Waldorf Astoria New York.